Can Low B12 Cause Tinnitus? | Why Are My Ears Ringing? If you’re wondering “can low B12 cause tinnitus?” the answer is that it’s possible. Obviously it may not be the reason for all types of tinnitus but a deficiency has been noted in a significant number of tinnitus sufferers so this is something to consider especially since most origins of tinnitus can be such a mystery. It’s believed that tinnitus is a result of something that has gone wrong in the body and natural methods including the use of vitamins and minerals including vitamin B12 may be able to get to this root cause and eliminate it. Blurry vision, double vision, sensitivity to light and in some cases even vision loss due to the damage to the optic nerve or blood vessels being plugged up in the retina due to this vitamin deficiency. Your tongue may be smooth and red due to the loss of the little bumps on the tongue (papillae) and the loss of these bumps which are the taste buds can affect you being able to taste the food you eat. Instead of a rosy complexion, a B12 deficiency can result in your skin having a yellowish hue. Low B12 can affect your emotions and possibly lead to depression or anxiety. Low B12 can lead to dizziness or being wobbly on your feet. Nerve damage due to B12 deficiency has led to some people complaining of a “pins and needles” sensation as well as numbness because the cells in the body are not getting enough oxygen due to this nerve damage. Fatigue no matter how long you sleep is a common complaint of this vitamin deficiency although it can also be a sign of something else. Muscle weakness and sluggishness have been reported. Having trouble remembering things can be a sign of Alzheimer’s or dementia but it can also simply be a case of vitamin B12 deficiency. As far as B12 deficiency relates to tinnitus, obviously the above symptoms can promote an environment of ill-health in the body which can increase the risk of developing other issues including tinnitus. Studies have also found vitamin B12 deficiency in a significant number of elderly people with tinnitus (who usually deal with hearing loss related tinnitus), those dealing with chronic tinnitus as well as those who developed tinnitus due to loud noise or occupational tinnitus. This seems to imply that this vitamin deficiency may lead to some dysfunction in the auditory pathway. Can low B12 cause tinnitus? Not in every case but per the above, it’s possible that your tinnitus is due to a B12 deficiency. So can vitamin B12 help tinnitus? Any sort of vitamin and mineral deficiency including B12 needs to be corrected and some benefits have been reported in people with tinnitus who had a deficiency who started taking B12, so you should definitely give this strategy a try. Vitamin B12 can be found in various foods such as meat and other animal products (turkey, chicken, liver, etc), seafood with clams (especially steamed clams) being an extremely rich source as well as cooked mussels and mackerel. 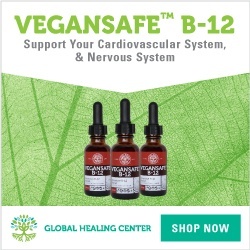 But it can be difficult for vitamin B12 to be absorbed into the body in adequate amounts so supplementation can be more effective especially if administered by injection (best) or placed underneath the tongue and dissolved as this bypasses the digestive tract and goes straight to the bloodstream where it is transferred to the various cells in the body. 1000 micrograms is the commonly recommended supplementation dosage per week to eliminate this deficiency and possibly reduce tinnitus. So can low B12 cause tinnitus? It’s possible but of course a deficiency may not be the only cause of tinnitus but you still need to eat a balanced diet to prevent a vitamin and mineral deficiency which can cause various problems including tinnitus. You need many vitamins and minerals and not just B12 and most of them including B12 work best when they are combined with other vitamins and minerals. If your diet doesn’t meet your vitamin and mineral needs, definitely consider supplementation. For more ways on how to get rid of many types of tinnitus besides those caused by a vitamin B12 deficiency, you must get your hands on the proven holistic guide Tinnitus Miracle which uses natural methods only to quiet these annoying sounds for good. Find out more about this bestselling guide here. Next Will A Decongestant Help Tinnitus?